In the three decades since John McTiernan’s Predator was unleashed on us, it’s become a massive cultural touchstone and has spawned two sequels and two crossover movies, as well as the highly anticipated Shane Black reboot hitting screens later this year. We decided it was a good time to look back and rank the five frightful Predator films that we’ve been blessed with so far. One of the most anticipated horror sci-fi films of all time, Paul W.S. Anderson’s mediocre movie was inspired by the far superior 1989 comic book of the same name. Though it was a box office hit that raked in $172 million, the promising setup—an investigative expedition by Alien‘sWeyland Corporation—never really delivered, quickly descending into the ridiculous as Predators and Xenomorphs battled inside a subterranean Arctic pyramid. Despite that, it’s still an interesting early attempt of the now saturated shared universe franchise. The slightly superior sequel sneaks up the leaderboard simply because of how much it jumps the shark with the creation of the Predalien—a hybrid of the two cult classic monsters—and the exceptional amount of facehuggers that are dispatched in the opening of the film! Alas, Rotten Tomatoes disagrees with us, ranking AVPR the lowest of the franchise at a measly 11% fresh. And we have to admit that it seriously loses its way during the second act and becomes a rather rote straight-to-DVD-style slasher. Still, it’s lots of fun to see the Xenomorphs and Predators kill a bunch of annoying humans. Nimród Antal’s strange addition to Predator canon is actually pretty entertaining, with a strong cast led by Adrian Brody and Alice Braga, and a very creepy turn from Topher Grace. Transplanting a set of the Earth’s best killers onto an interplanetary game reserve for numerous different types of the alien killers, this underrated actioner is a solid reimagining of Predator lore. Speaking of underrated, this utter gem of a sequel is as different from the original movie as you can imagine, and that’s not a bad thing. From the beautiful jungles of, again, “Central America” to the steaming streets of L.A., this weird and wonderful film throws the Predator into a noir-fueled gangland conspiracy that includes voodoo, heat vision, and some skinned yuppies! And with Danny Glover in the lead, what’s not to love? The original and the best, you just can’t top the Arnold Schwarzenegger- and Carl Weathers-starring monster masterpiece that pits a paramilitary rescue team against the most dangerous hunter in the galaxy. A groundbreaking box office smash on release, making $98 million from a $15 million budget, this unexpected sci-fi classic is still as fantastic as it was over 30 years ago. What’s your favorite Predator movie? Can’t wait to see the Xenomorph and Predator become Disney princesses when the Fox merger goes through? 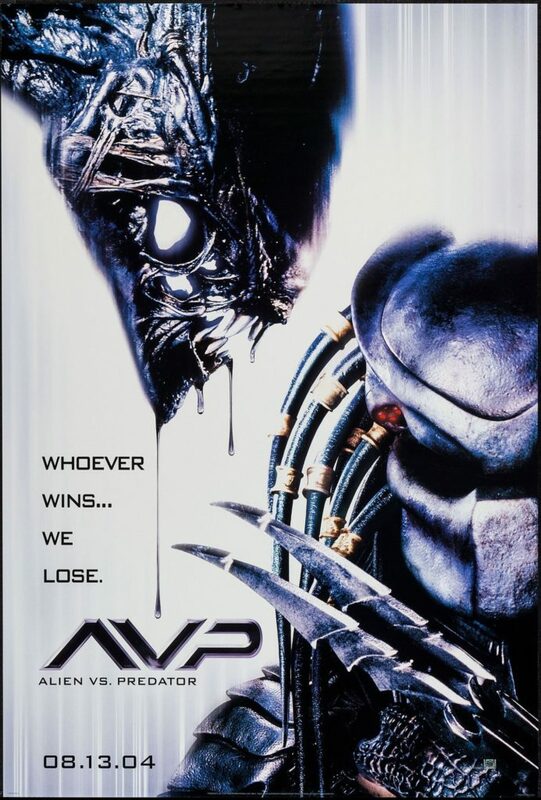 Is it sacrilege that we consider AVP & AVPR Predator movies? Jump into your spaceship and let us know!